Wall, NJ: The Pharmafill(TM) TC3 Tablet/Capsule Counter from packaging machinery manufacturer Deitz Co., Wall, NJ, features a proprietary counting sensor that enables opaque, translucent or transparent solid oral dose products in a wide range of sizes and shapes to be automatically counted with 99.99% accuracy. Devised and developed to bring versatility to high speed counting of tablets, capsules, caplets, gelcaps, lozenges and other solid oral dose products, the Deitz counting sensor may be quickly adjusted without any tools via PLC control panel to achieve the highest counting speed and accuracy possible for a diverse variety of products while reducing changeover times to less than five minutes – including testing. Ideal for contract packagers and nutraceutical, pharmaceutical and cosmeceutical manufacturers, the Pharmafill TC3 electronic tablet counter allows both the amount of light required to trigger a count and the length of time of the count signal to be adjusted to ensure pills with odd, elongated or oversized shapes are counted accurately and to prevent products with clear or open centers from being counted twice. These threshold and one-shot delay settings, respectively, may be adjusted in five percent increments to accommodate virtually any solid oral dosage product. 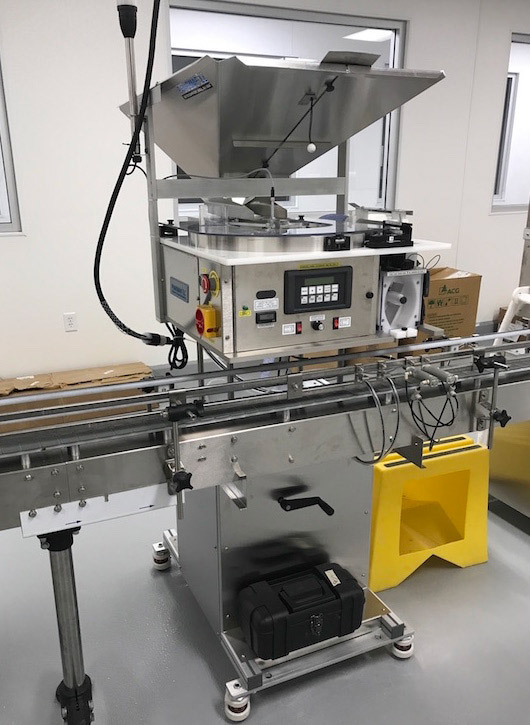 The Pharmafill TC3 pill counter is manufactured in the company’s Wall, New Jersey headquarters and comes with a full, two-year warranty.